Welcome to the new website for the Hobbs Police Department! 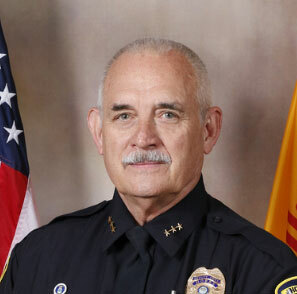 The City of Hobbs Police Department endeavors to recruit and employ individuals who are determined to be the best suited for available positions. On behalf of the men and women of the Hobbs Police Department, I would like to welcome you to our web site. The City of Hobbs offers its citizens a great place to live, work, and raise a family. The quality of life in Hobbs is a priority for our police department and we strive to do everything possible to maintain that quality of life. The Hobbs Police Department has 110 dedicated men and women who are committed to protecting the people and their property and rights while providing the best law enforcement services available. We hope that this web site will give our citizens, and others interested, an overview of who we are and what we do. In these pages you can view information regarding our mission, our organization, crime statistics, crime mapping, and other information that we hope will be of use. We welcome any suggestions as to how this site can be improved to better serve you. If you are interested in a career in policing, please visit our employment pages. We are actively recruiting for a number of positions including police officers. We recognize that we must diversify our work force if we are to remain successful. With that in mind, we encourage women and minorities to apply. Please feel free to contact our department with any questions, comments, or concerns at (575) 397-9265. Information about motor vehicle stops, travel safety, worthless checks, identity theft, property records, fraud and con games, and alarms. Join us for Coffee with Cops and stay up to date with the latest News Releases from the Hobbs P.D. Register for Civic Eye! Fill out our simple form and provide basic information about your business location and cameras. There is no cost associated and your information is kept confidential. The Police Department will only contact you in the future if there is a crime committed in the vicinity of your security camera. The Hobbs Police Department is hiring! 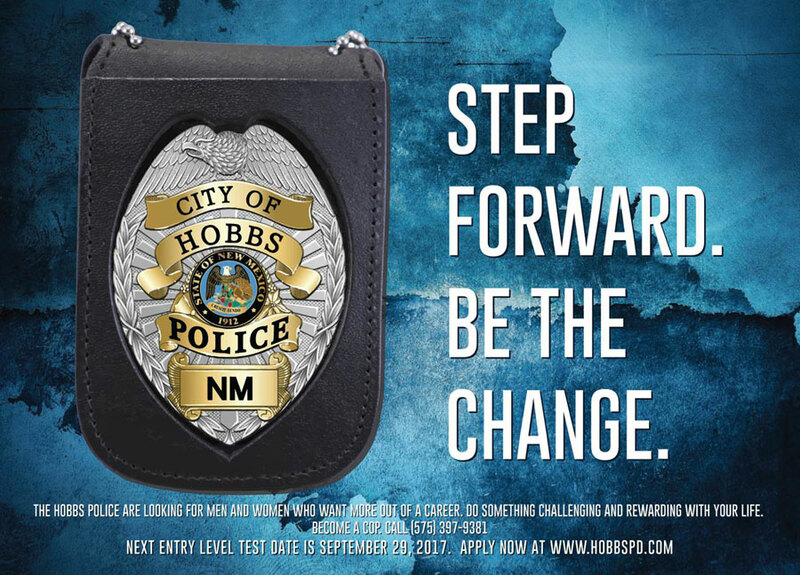 Now is the time to take advantage of a great career opportunity if you or someone you know is interested in becoming a Police Officer for the City of Hobbs. Starting pay for uncertified applicants is $24.78 an hour. Certified officer starting at $26.02 - $29.92 depending on experience. To apply online, please visit https://www.governmentjobs.com/careers/hobbsnm. The Hobbs Police Department provides its employees with the best and most current training that meets or exceeds industry standards. Whether we utilize our own professional instructional staff or an outside professional training firm, we are committed to providing the employees of the department with the tools and education necessary to provide professional and effective services to the community we serve proudly. The City of Hobbs is an Equal Opportunity Employer/smoke and drug free workplace. The Hobbs Fire Department has begun updating contact information and detailed site plans of all businesses within the City of Hobbs. This is an annual process the department conducts in order to have current information available in the event of an emergency. These updated plans will be scanned into our database and utilized by the staff of the Hobbs Fire Department. The responding personnel will utilize this information to better assess the needs of the incident and determine the resources needed to mitigate the issue. The information gathered and the responsibilities of the crew initiating the Pre-Incident plan will vary according to the building occupancy and overall size of the structure. Fire crews will be visiting area businesses to gather the information for the Pre-Incident plan. It is important to keep in mind this is not an inspection and is primarily for the response considerations and emergent efforts of our responding personnel. The pre-incident planning process also plays a vital role in our Insurance Service Office rating which could potentially affect fire department funding and insurance policy rates within the City of Hobbs. We appreciate the cooperation of all business owners and citizens with respect to this process. The Hobbs Fire Department's commitment and overall concern for the community will continue to be important as we move forward. If you have any further questions or need additional information please contact Captain Paul Thompson at 575-397-9308.